Dr. Luis Ochoa is originally from Colombia. He received his dental degree in 1990, from Javeriana University in Bogota. From there, he went on to specialize in endodontics at Santo Tomas University and obtained a degree as a Specialist in Endodontics in 1996. He continued his dental education in Gainesville, Florida at the University of Florida and received a certificate in the FTD program in 2005. Dr. Luis Ochoa now works as a general dentist, limited to endodontics at different locations around South Florida where he works as an associate. In 2014, he opened his own practice, DentistArt, here in Coral Springs. 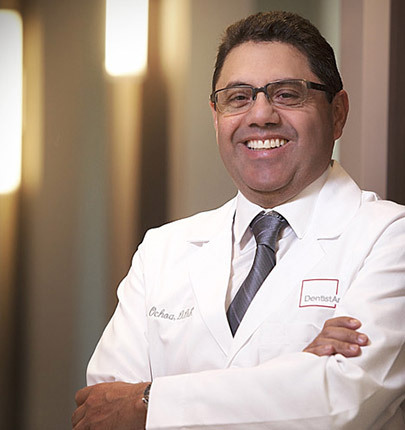 Since then, Dr. Luis Ochoa has focused his practice in endodontics, providing the highest quality of dental work while enhancing the quality of life of his patients. His professionalism and expertise makes him a unique and talented professional. He stays current with the most cutting-edge advancements in the fields as an active member of nationals and international dental associations, such as American Association of Endodontics, International Association for Dental Traumatology, Colombian Association of Endodontics, and Endodontics Association of Bogota. 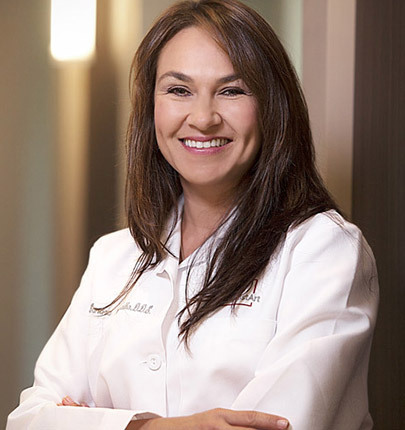 Dr. Sandra Carvalho is a prosthodontist, or a "specialist in the restoration and replacement of teeth," with more than fifteen years of experience and training. Born in Medellin, Colombia, Dr. Carvalho earned her dental degree at CES-Instituto de Ciencias de la Salud in Medellin and completed her postgraduate studies in Public Health Management at Universidad EAFIT-CES, where she graduated with the class of 1998. She continued to practice general and cosmetic dentistry in Medellin until moving to the United States to attend an implant prosthodontic fellowship at Ohio State University. Later, Dr. Carvalho was accepted at Nova Southeastern University in Fort Lauderdale, Florida where she specialized in Prosthodontics. While at Nova, Dr. Carvalho completed research on several prosthodontic topics, including the prominent field of implants. She is an active member of the American Academy of Osseointegration and of the American College of Prosthodontics. Dr. Carvalho remains actively involved in continuing her dental education and is always up to date on new trends and treatments. Her skills include traditional treatment, crowns bridges, veneers, dentures, partials to dental implants, supported prostheses, and full mouth rehabilitation. At DentistArt, our team of dental specialists works together to provide with the most professional services in a state-of-the-art facility. Our goal is to provide you with the highest level of dental care in a warm, welcoming setting. From diagnosis to treatment, DentistArt is committed to delivering the highest-quality care in an environment that puts our patients at ease. We know visiting the dentist can be stressful and overwhelming. That’s why we’ve designed a dental office that could easily pass for a day spa. Welcome to a whole new way to pamper yourself.